Williams M. - Milkins R.
Ding J. - McGill A.
Wilson K. - Jones Jam. Perry J. - Allen M.
McGill A. 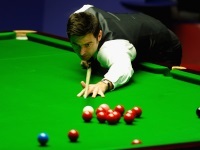 - Day R.
Bingham S. - Lisowski J.
Brecel L. - Walden R.